In the 100 years since the founding of the AMS, the American mathematical community has grown from a small group heavily dependent on European mathematicians to a large and influential group that in many areas sets the standard for the rest of the world. By the 1930s, there was a flourishing mathematical community to welcome the influx of mathematicians fleeing Europe. 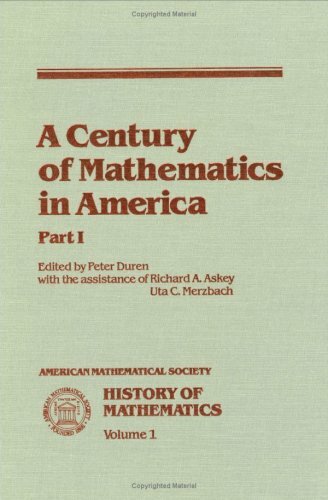 This volume, the first in the History of Mathematics series, brings together a variety of perspectives on the political, social, and mathematical forces that have shaped the American mathematical community in the past century.